“When I set out looking for a new head coach, I recognized Scott early in the process as someone I was confident in leading this football program,” Tyra said. “Following his career very closely, his teams are statistically very sound on both sides of the football. Both his offenses and defenses are ranked high nationally, and I valued how well-prepared and well-coached his teams have always been at Appalachian State. Known as an innovative offensive mind, Satterfield’s team that season scored over 28 points in 11 games. To add to that success, the Mountaineers finished 11th in the nation in total defense, yielding only 314.5 yards per game, and 14th in the country in scoring defense at 19.1 points per game. Appalachian State held seven opponents to 14 points or fewer, including a pair of shutouts. • Appalachian State won its third straight Sun Belt title this year. The only other FBS programs with at least three straight conference titles are Oklahoma and Clemson. • The Mountaineers are 92-17 in their last 109 home games since 2003. App State went 6-0 at home this season to post the first unbeaten home record since a 9-0 mark in 2006. • By winning the inaugural Sun Belt Championship Game on Dec. 1, Satterfield improved to 44-7 against Group of Five conference opponents and 35-6 against Sun Belt Conference opponents. • Appalachian State earned a Top 25 ranking this season, becoming just the second Sun Belt team to be ranked in a national poll. 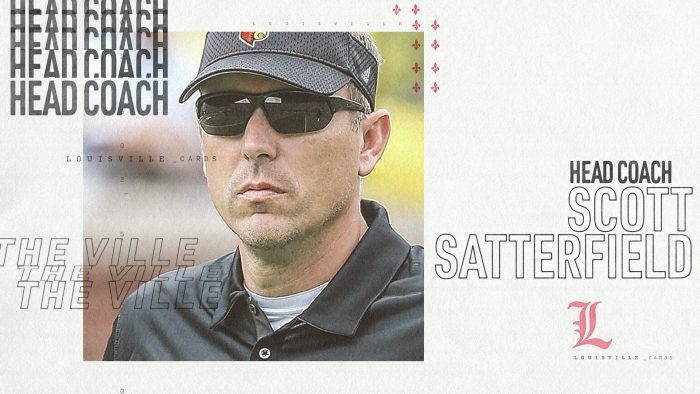 • With 40 wins since the start of the 2015 season, Satterfield is tied for fifth place nationally and first among Group of Five head coaches. The only FBS coaches with more wins in that time are Alabama’s Nick Saban, Clemson’s Dabo Swinney, Ohio State’s Urban Meyer and Wisconsin’s Paul Chryst.